Smart, Connected Products Will Allow Product Performance Monitoring and Improved Operation Efficiency. PTC today announced that Sicame Group, a global provider of products related to the transport and distribution of electrical energy, has selected PTC’s ThingWorx® Industrial Innovation Platform to remotely monitor and gather operational intelligence, enabling meaningful insights and enhanced product performance more quickly than using traditional methods. Established in France over 50 years ago, Sicame Group now operates in 23 countries and distributes its products in 120 countries. The company designs, manufactures, and distributes surveillance, security, and asset optimization products and services, such as street lighting and telecommunications, mechanical accessories, electrical accessories, and junction boxes for PV solar panels. To help position itself as a key player in the IoT and Smart Grid field, Sicame Group worked with PTC partner 4CAD to develop a strategy that offered its customers new services. 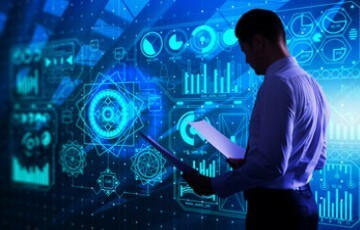 With the IoT and its implementation of ThingWorx, the Sicame Group will be able to communicate with its products remotely and, through the embedded analytics function of the ThingWorx Platform, monitor real-time data, predict future events incidents and conditions, and optimize the products’ performance. The ThingWorx Platform enables the rapid development and deployment of robust applications and experiences that monitor, manage, and control connected devices. This proven industry-leading, award-winning platform helps industrial companies unlock the value associated with the convergence of the physical and digital worlds.